Subdued by communism and then overshadowed by the Australian market, some of the wines of eastern European are now making a comeback—this time in terms of value and uniqueness rather than blandness and quantity. For wine lovers seeking different flavors and grapes, Eastern Europe is somewhat of a final frontier. Master of Wine Caroline Gilby from the U.K. told of today’s viticultural scenario in this region. Gilby recently launched her book titled The Wines of Bulgaria, Romania and Moldova. This book includes stories, facts and history related to unique wines from these three countries. On a map of Europe, the countries of Bulgaria, Romania and Moldova align parallel to Croatia, Montenegro and Albania, but along the shores of the Black Sea rather than the Adriatic Sea. Combined, these three countries cover an area of about the same size as that of the U.S. state of Montana, or the country of Japan. 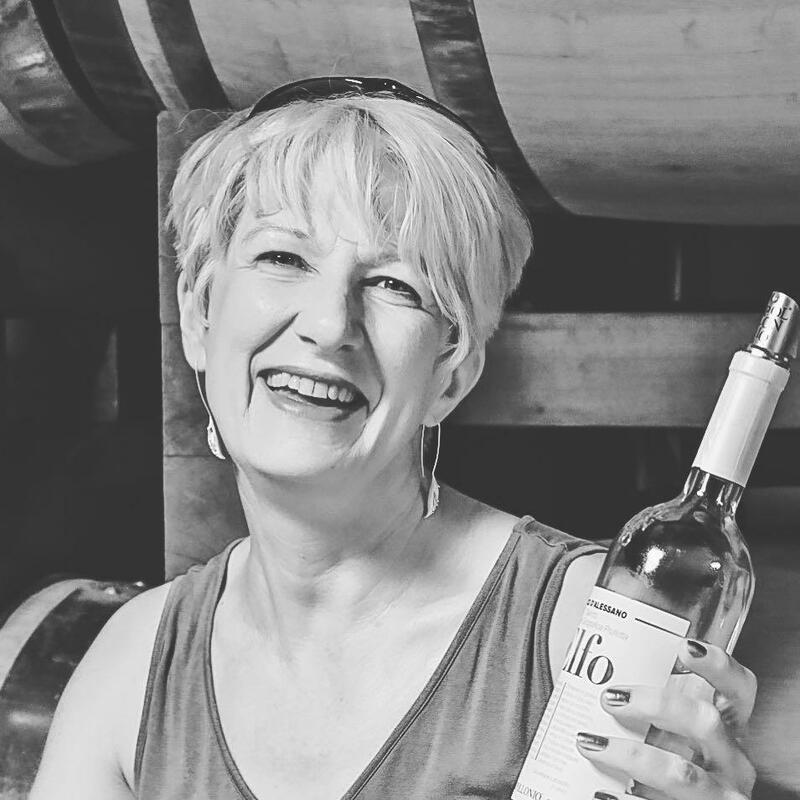 Hunched behind a microscope while getting her doctorate in plant sciences decades ago, Gilby broke free by deciding to work in the world of wine. She became a trainee for a wine buying team and was assigned to Eastern Europe in time to see the fall of the communist regime. We spoke about how the situation in these countries has changed. At the end of the 1980’s and mid-1990’s, Bulgaria and Romania were massive wine exporters to Europe. For complex reasons, Eastern Europe’s wine exportation fell apart. Australia came along and did what Bulgaria had done, filling in a gap by providing reliable, cheap, cheerful, consistent wines to Europe—usually reds. But in the last three to four years there has been a real interest in Central and Eastern European wines. When the yoke of communism fell in the late 1980’s, countries reacted differently. Countries in Central and Eastern Europe have come out of communism in different ways. Moldova, arguably most scarred by communism because it was within the bloc, is the most advanced at understanding the need to work together, to communicate together and to develop an overall marketing strategy. All three have international grape varieties such as Cabernet Sauvignon, Pinot Gris and Pinot Noir, and these provide a useful tool for people to discover these countries. But they also have their own grapes that produce really delicious, exciting wines, different from standard offerings. The challenge is convincing people how these countries have changed, because the memory of Eastern Europe is about cheap wines. Gilby’s paperback book includes illustrations and photographs. I’ve tried to make the book accessible to a range of audiences, including human sidebars as well as nerdy technical data. But the core is telling stories of what’s happened in these countries, and it includes anecdotes from my years of working there. Feteasca Neagra (‘Black Maiden’)—red with tastes of red fruit, tannins and spice. Possible future flagship grape for Romanian producers. Feteasca Alba—(‘White Maiden’)—white used for still and sparkling wines, includes citrus and apricot scents. Feteasca Regala (‘Royal Maiden’)—white also cultivated in parts of Hungary and Austria that is dry and acidic with floral flavors. Negru de Dragasani—red grown in Romania with flavors of black fruit, cherries and spice. Rara Neagra (‘Rare Black’)—from Moldova, produces ruby colored reds with unique flavors that include dried fruit and vanilla. Viorica—white from Moldova, elegant with herbs and lemon aromas. Melnik—red, of which there are two clones. Aromas of leather, mint and pepper. Mavrud—red producing deep colored wines that are tannic, spicy and age well. Gamza—red (also known as Kadarka) that makes fresh, light and fruity wines. Gilby will be signing her book at the Specialist Importers Trade Tasting (SITT) in London on September 24th. You can find her at the Wines of Hungary booth. Tom Mullen is a Forbes contributor, a business consultant, and the author of The Winemakers’ Cooking Companion. Follow him on Twitter or Instagram or at the Vino Voices blog.